Our endodontists and our staff have exceptional training. We are proficient and knowledgeable in all areas of our specialty. The office is a state-of-the-art facility, constantly being updated with the latest technological equipment. However, what has set us apart from other offices is our devotion to compassionate patient care. We treat each patient with a gentle touch and kind heart. This website will provide you with an overview of our practice. As you navigate through the site, you will find information about our endodontists, our staff, the endodontic procedures we provide, our office location, the insurance/fee policies, and appointment scheduling procedures. We believe in educating our patients. We feel that informed patients are better prepared to make decisions regarding their health and well-being. Please feel free to contact us directly with any questions. Rancho Bernardo Endodontics offers a full array of endodontic services to help you maintain healthy teeth. You can read more by following the links below. 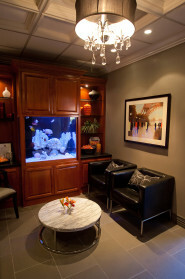 At Rancho Bernardo Endodontics we strive to offer the very best patient experience to you—from in-office procedures to online interaction and information. The following links offer you the opportunity to access your patient records, schedule appointments, gain better understanding about us through answers to questions from other patients like you, as well as offer us feedback on our service. Thank you for your confidence in our services and if you have any questions, please contact us. American Association of Endodontists – The United States of America’s national organization representing the specialty of endodontics or root canal treatment. Abbreviated AAE.